Let’s relive the past… or not. 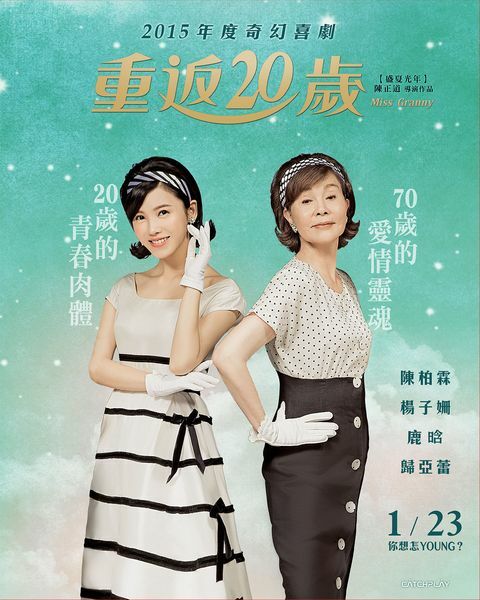 Billed as the sister piece to Miss Granny, 2014 Korean film with a similar plot, 20 Again is about seventy year old grandma Meng Li Jun who gets another shot at being young again after taking a photo at a mysterious shop. With a new hot suitor at her feet and a promising career as the lead singer of a hip band, will she want to go back to being “grandma”? Or will she take this as an opportunity to relive life? To be completely honest, I read a quick review before I went into this movie. The review said it wasn’t that good which may or may not have colored my perception as I watched the movie. I had a lot of hope for this piece because it sounded like a ball of fun. I also thought it was going to tell a more cohesive story that is framed around love and family. I had plenty of expectations, thinking that it will have elements of nostalgia combined with melancholy but alas, I got none of it. What I did get was a story that didn’t really make sense to me. I mean I do understand what transpired, but it left me questioning what was the purpose of the film and what message did it want to offer. I didn’t connect with any of the characters so needless to say I didn’t particularly care for any of them. Their portrayal was flat and on a whole just not inspired. There was much running around and busyness on screen, but none of that culminated into anything. Overall this movie is a definite disappointment for me, perhaps because I read that poor review, or maybe because I thought it would be much more than what it really was. If I had watched it with a less invested mindset I might’ve enjoyed it a bit more. I mean it is a super silly piece and is probably entertaining if you aren’t trying to dig deeper like I was. Give it a shot if you want, but don’t expect too much in return. Yang Zi Shan was recently in Zhong Kui: Snow Girl and the Dark Crystal as Chen Kun’s character’s younger sister. She is currently dating Taiwanese director, Matt Wu/Wu Chung Tien. 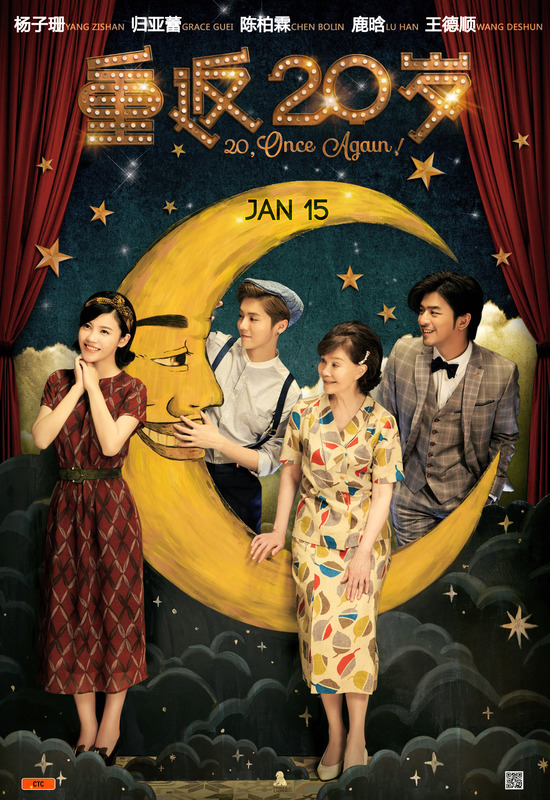 Gui Ya Lei has won the Golden Horse Awards four times and the Golden Bell Awards two times among others. Her most recent award was for her role in The Knot/Yun Shui Yao with Chen Kun (it’s him again!). 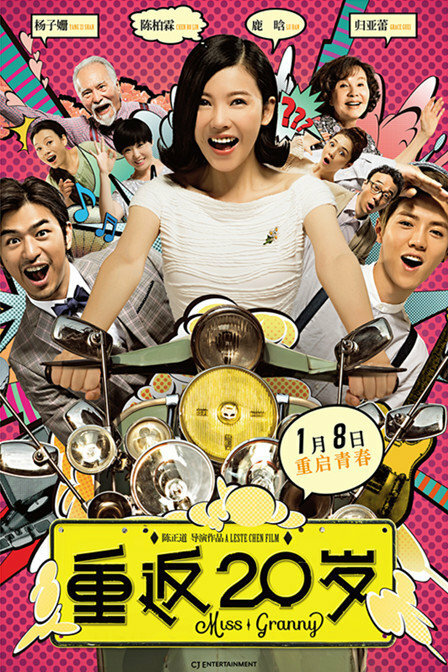 Chen Bolin was in TV series In Time With You with Ariel Lin. He signed with BM+ Entertainment this year, making his advances in Korea official. I actually liked this movie. It’s silly, yes, but it’s entertaining too. I also thought Yang Zi Shan acted very well – I could almost imagine her really being Gui Ya Lei. Ok you are right, I should give due credit to her for her acting, but I guess the whole plot – or lack of – really distracted me from enjoying it. Like I said, maybe I thought too much about it and expected more than it was meant to give. Maybe it was trying to be a ‘family-oriented’ movie, which they kinda got that point across, but it didn’t really feel that deep. Guess it was still enjoyable, I didn’t have a lot of expectations too.